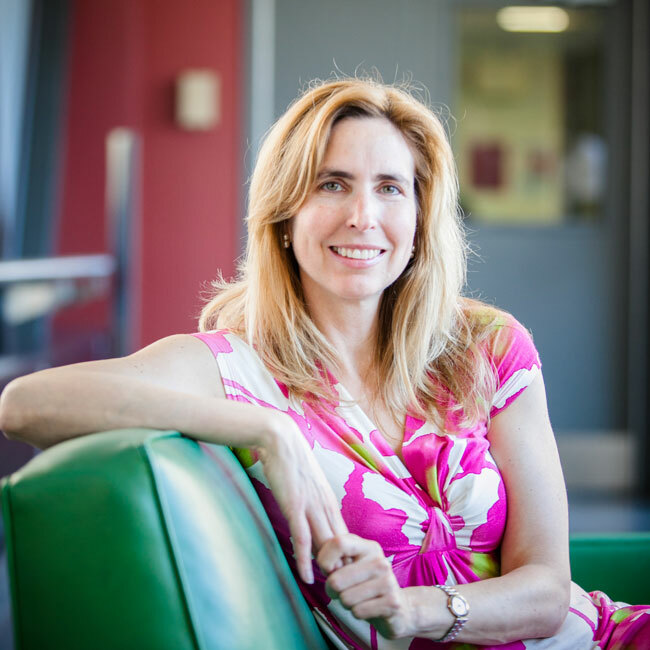 On this, World AIDS Day (Dec. 1), the Reporter spoke to Dr. Marina Klein about her research on patients with HIV and chronic hepatitis – a particularly virulent combination that effects more than 20,000 Canadians and millions more worldwide. According to Dr. Klein, the key to treating these patients lies just as much in education and social programs as it does in antiretroviral pharmaceuticals. On this, World AIDS Day (Dec. 1), the Reporter spoke to Dr. Marina Klein about her research on patients with HIV and chronic hepatitis – a particularly virulent combination that impacts more than 20,000 Canadians and millions more worldwide. According to Dr. Klein, the key to treating these patients lies just as much in education and social programs as it does in antiretroviral pharmaceuticals. How common is HIV and Hepatitis C co-infection? It is estimated about 75,000 Canadians ar infected with HIV and about 30 per cent of those people are co-infected with Hepatitis C.
How does one get Hepatitis C? In Canada there have been people who were infected with Hepatitis C through tainted blood transfusions, but that was mostly in the late 80s and early 90s. Now, the vast majority of people acquire it through injection drug use. Are there populations that are more vulnerable to this co-infection? What is quite concerning of late is that in Western Canada, particularly in Saskatchewan and Manitoba, there is a large and growing epidemic of HIV and Hepatitis C infection among aboriginal communities. Probably the biggest growth of this epidemic is happening in this segment of the population. Of those HIV infections that are occurring, about 90 per cent of them are co-infected with Hepatitis C.
What are the challenges faced by people who are co-infected? There are challenges on a number of levels. There’s the biological interaction. It is quite clear that HIV accelerates the progression of Hepatitis C. This means that people who have both infections will progress more rapidly to liver damage and cirrhosis and eventually death from liver disease. The number one cause of death in [people with HIV and Hepatitis C] is end-stage liver disease. Hepatitis doesn’t have that much impact on HIV per se. What does have an impact on how these people deal with their health in general are all the competing socioeconomic and demographic risk factors for acquiring these two infections. The intersection between peoples real lives their illnesses is quite important. How does treatment for HIV differ from that for Hepatitis C? We run a large prospective cohort study across Canada so we recruit from 18 centres that are both hospital-based and community-based, so we have a broad representation of people who are living with these two infections. In respect to HIV therapy, we’ve observed that the vast majority of people have access to good HIV therapy. As a result, they are getting good results from the treatment so that the HIV virus is being suppressed and their immune system is getting stronger. In contrast, many fewer people have access to Hepatitis C therapy. Part of it is historical, in the sense that the previous treatment that was available was based on the therapy called interferon. It is highly toxic, requires injections every week and you have to be treated for a year. One of the major side effects with this treatment is psychiatric problems – so depression and even suicide on occasion. So in the population of people who are infected with Hepatitis C there is a higher level of mental illness and incarceration, which, in turn, made it quite difficult to administer those treatments to them. We’ve also shown that particularly active injection drug users and aboriginal persons were not accessing treatment as often as others. What about the current situation? Are there effective treatments for Hepatitis C? There really has been a revolution in the last three to five years in the form of new drugs that are very effective – almost 90 per cent curative. The therapy lasts only 12 weeks, with no injections and really no side effects. The problem is that these treatments are extraordinarily expensive and getting them to the populations who are at risk and need them have been impeded. For a treatment course that is 12 weeks, you are looking at the list price of $85,000. In our cohort the vast majority are living under the poverty line and earning under $18,000 a year. They rely on social assistance or social support for medications. Depending on which province you live in, that’s either full coverage or a substantial co-pay . Even though provinces pay a discounted price, governments have put restrictions on who can get treated because the cost of the medication is so high. So it’s really been restricted to people with very advanced liver disease. This is fine for the individuals in need, but then there are a lot of people who are still suffering from the disease and who are capable of transmitting Hepatitis C who aren’t being treated because their liver disease is not sufficiently advanced to qualify for the drugs. It’s a huge issue right now. The upsetting thing is that to manufacture one course of these drugs costs about $250 manufacture. So we have the tool, but it is impossible to use that tool in a public health sense and to get it out to a large number of people because we would bankrupt the health system if we tried to treat everyone. What about the cost of HIV treatment? People make the argument that with HIV you have to take treatment for life and, if you add up the whole cost to treat someone with HIV over their lifetime, it will cost more then treating someone with Hepatitis C who can be cured after one 12-week course of treatment. The cost of HIV treatment is about $1,000 a month. It’s been coming down slightly but it is pretty stable. In much of the world of course the cost of HIV medication was a serious issue. And there was a lot of pressure worldwide to reduce the price sufficiently in order to get antiretroviral therapy to the developing world. It took generics coming into the market to achieve this. Will similar pressure be put on the makers of Hepatitis C therapies? So Hepatitis C is curable? Yes. After three months of therapy in about 90 per cent of the people or more you can actually get rid of the Hepatitis C virus. And, if you follow people afterward, the virus doesn’t come back and the liver gets better over time. Moreover, you can cure the vast majority of people independent of how bad their liver disease is. Studies have shown that people who have really advanced cirrhosis will benefit enough that they will probably not have to have a transplant. It is really a revolution. Does the treatment give people immunity from Hepatitis C? No. The one major hurdle that we are facing here is, unlike other infections, you don’t get immunity once you are cured. You are still susceptible to be re-infected. And we’re starting to see this in certain populations where people haven’t change their lifestyle and the re-infection rate can be as high as 25 per cent over three years. Re-treating people becomes an issue – especially because of the cost of this treatment is already prohibitive. We hear so much about HIV and comparatively little about Hepatitis. Is this justified? We have reached a point where there are more deaths worldwide as a result of viral Hepatitis B and C than from HIV or tuberculosis. Certainly here in North America, data shows that deaths from HIV have been dropping because people have access to such good treatment. We are entering a critical period because with the Hepatitis virus it takes a long time before people get sick. The peak of these infections occurred probably sometime in the 70s and 80s so we’re just entering that phase where people are going to be very sick from it. What is being done to counteract this? It is a very important problem globally and the World Health Organization has recognized this fact. Similar to what it did for HIV, WHO is putting an emphasis on scaling up diagnosis of and treatment for Hepatitis worldwide. I think until recently viral Hepatitis had been neglected as an important areas of focus, certainly globally. But now that we have a good treatment people are starting to get interested. They are excited because, for the first time, we are starting to see the potential for controlling hepatitis C as an epidemic and possibly even eradicating it in certain populations. I think we will see a big shift in the next five years. So what does the immediate future hold for your work? In general we’re really looking to find the best strategies and models of care to engage people in treatment and to allow them to achieve the best health outcomes. I’m particularly interested in seeing how we can change our approach to caring for people and identifying people who need that care. There is still a lot of stigma associated with both of these infections. In certain populations, indigenous communities for example, one of the biggest challenges we face is that people are not coming forward to be tested or they’re not aware of the benefits that treatment offers. This means people are still getting diagnosed late. It’s not just pharmacology it’s also education.